When I flew on North Korea’s state airline Air Koryo several years back, I noticed something unexpected: cartoons. Throughout the two hour flight from Beijing to Pyongyang, various North Korean animations served as inflight entertainment. As it turns out, North Korea is an undersold animation powerhouse—and you don’t even need to fly Air Koryo to see its work. Chances are, you might’ve already unknowingly watched something that North Koreans animated. The history of North Korean animation starts in 1957. That year, the North Korean government established the April 26 Children’s Animation Film Studio, which would eventually rebrand itself as SEK Studio (“Scientific Education Korea”) in 1997 to participate in an international animation festival. At its peak in the early 2000s, SEK employed over 1,600 staff and reportedly animated up to 60 films per year—both domestic and foreign (more on that later). This made it one of the largest animation studios in the world. Today, SEK still remains the DPRK’s sole known animation studio, though as of 2014 its workforce is closer to 900. Although North Korea still lags far behind South Korea as global entertainment and technology leader, the quality of SEK Studio’s work apparently meets global standards. The North Koreans themselves are more effacing. Huh Young-chul, a SEK representative, has said that while their animation technology has improved significantly over the years, it still lags behind other countries like China, at least as of 2014. Regardless, SEK is still a productive, viable animation house. While its headquarters remains in Pyongyang, it also has a Chinese branch office. Relying on both Windows and Mac machines running programs like 3DS Max, the studio produces both 2D and 3D animations—for instance, this 2015 Finding Nemo-esque fish cartoon. Given its relative isolation, why does North Korea invest effort in creating animations? For one, cartoons offer a more enjoyable, kid-friendly form of ideological indoctrination — after all, SEK was founded as a children’s animation studio. Most of the studio’s domestic productions target North Korea’s youth, and either explicitly or implicitly embody the nation’s Juche (often translated as “self-reliance”) philosophy. If you want to imbue citizens with state ideology even before they can walk, there’s no better way to do it than cartoons. Former leader Kim Jong-il’s renowned penchant for film and resulting stewardship of North Korea’s cinematic industry probably helped ensure SEK’s continued survival through famine and international isolation. Kim’s treatise On the Art of the Cinema sees film as an essential method for “[imbuing] the whole of society with the great Juche idea”, and Kim consolidated power in part by taking ownership of North Korea’s cultural and propaganda activities. Another practical reason drove the growth of North Korean animation: foreign currency. Starting in the 1980s, SEK Studio began subcontracting for media companies from Italy, France, and Spain. This represented a win-win scenario for both sides. North Korea would have a relatively wholesome (compared to drug smuggling, for example) way to earn much-needed foreign cash, while Western corporations could enjoy massive cost savings due to the DPRK’s low wages. Dealing with European studios also gave SEK an opportunity to learn best practices, and even send young employees to France and Italy to study advanced animation technologies. By the early 2000s, SEK had dealings with over 70 different European companies across hundreds of projects. Among these projects was the 1997 series Simba: The Lion King, commissioned by Italy-based Mondo TV. This series’ name may have helped spark an oft-circulated (but unverified) rumor that SEK helped animate Disney’s 1994 blockbuster The Lion King. Beyond rumors, one of the most direct depictions of SEK’s relations with European animation comes through Canadian cartoonist Guy Delisle’s graphic novel Pyongyang: A Journey in North Korea. In the novel, Delisle recounts a two-month stint as a Pyongyang-based liaison to SEK Studio, which French production company Protécréa subcontracted to help with the 2002 feature Corto Maltese: La cour secrète des Arcanes. Delisle describes how animators in Paris provided keyframes whilst SEK staff would draw tweens, and highlights how cultural disconnects sometimes impeded the production process (ex. explaining the French gesture for “Oh-la-la”). North Korea didn’t just collaborate with Europeans though. When liberal Kim Dae-jung ascended to South Korea’s presidency in 1998, he initiated the Sunshine Policy, calling for rapprochement and economic collaboration with the North. As a result of the Sunshine Policy, South Korean animators began working with their Northern brethren. A prominent example of this cooperation was the children’s show Pororo the Little Penguin, which remains a cultural icon in South Korea to this day. Subcontracted through South Korean production company Iconix, SEK animated part of Pororo’s first and second seasons between 2003 and 2005. Iconix sent technicians northwards to train SEK’s staff, though, once the technicians left, the lack of efficient communications methods eventually made collaboration too difficult to continue. Inter-Korean animation efforts didn’t stop with Pororo. This brings us to one of the Korean peninsula’s most intriguing animation personalities: Nelson Shin. 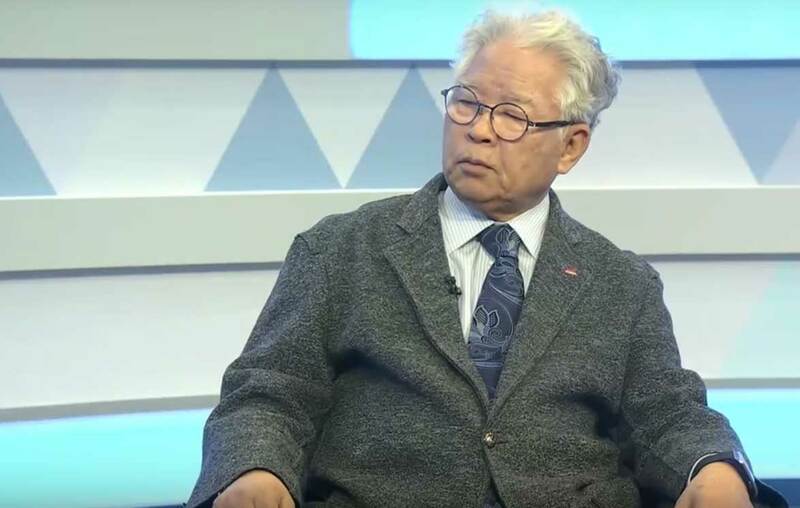 Born 1939 in North Korea’s Pyongsan County, Shin moved to South Korea at age 13 during the Korean War. After immigrating to the US and working for American animators (including on Star Wars’ lightsaber) during the 1970s, Shin returned to South Korea and founded AKOM Production—best known for animating The Simpsons. Wanting to tell his own stories instead of animating others’, Shin decided to make Empress Chung, a feature film based on a famous Korean folk tale about a daughter who sacrifices herself to restore her father’s eyesight. While trying to get Empress Chung off the ground, Shin unexpectedly bumped into representatives of SEK Studio at an international film market. Since he was largely self-financing the project, Shin decided to work with SEK in order to save costs; it was also a poetic move for a man who’d been born in the North. Thus, Empress Chung became the first feature-length film co-production between North and South Korea. Around 500 staff from SEK Studio handled main production, while Shin’s South Korean animators performed pre and post-production; Shin personally visited Pyongyang 18 times to supervise production. Empress Chung opened simultaneously in North and South Korea on August 12, 2005, the 60th anniversary of the end of Japanese rule on the peninsula. Though it wasn’t a box office hit, the film represented a milestone in inter-Korean relations, and inspired Shin to further collaborate with SEK Studio. 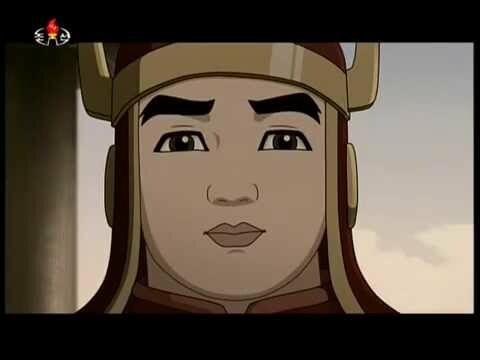 After Empress Chung, Shin and SEK went on to make an animated TV series called Warriors of the Goguryeo, inspired by the history of an ancient Korean kingdom. 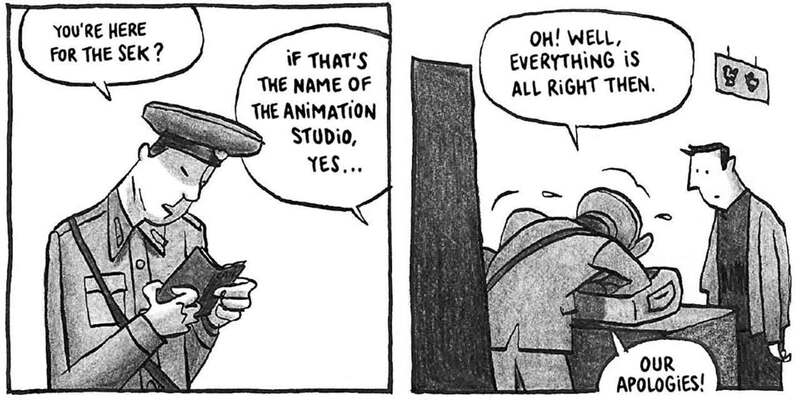 At the same time, Shin’s company AKOM was still animating American projects. This is where things get interesting: drawing upon the existing relationship, one of AKOM’s interlocutors apparently subcontracted work on US films to SEK Studio. According to DVD commentary and IMDB, 2007’s The Simpsons Movie was the most prominent US project that SEK helped with. Other projects include Futurama: Bender’s Big Score and even an episode of Avatar: The Last Airbender. Therefore, it’s highly possible that millions in America and beyond have unknowingly experienced the handiwork of North Korean animators. However, 2007 marked the high point of SEK’s collaboration with South Korean and Western production companies. After that year, the studio’s foreign interactions dropped precipitously due to broader political circumstances. Relations between North Korea and the international community started to deteriorate after Pyongyang’s first nuclear test in 2006. In 2008, conservative President Lee Myung-bak took power in South Korea. Lee ended the Sunshine Policy, and started taking a harder line against the North. This snuffed out the possibility of further North-South animation opportunities. North Korea’s nuclear and ballistic missile programs continued to accelerate. A second nuclear test came in 2009, causing the United Nations Security Council to impose the first in a series of sanctions aimed at cutting off North Korea’s access to foreign capital. This likely made the risk of doing business with SEK too high for European production companies. After 2009, the only visible foreign contracting that SEK performs has been for Chinese projects, like a 2009 animated series based on the Chinese classic Romance of the Three Kingdoms. In 2014, SEK also participated in the Shijiazhuang International Animation Exhibition, aiming to win more Chinese clientele. Despite increasing international isolation, SEK’s domestic operations have continued apace. 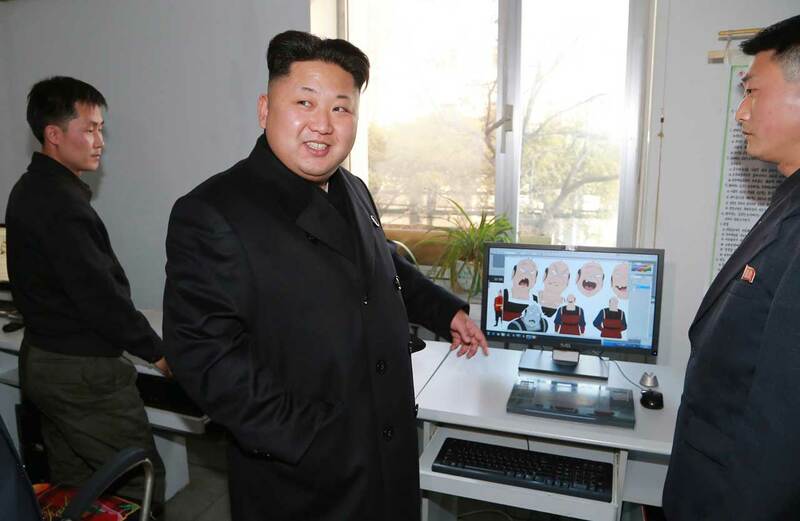 In 2015, Kim Jong-un ordered the studio to produce 50 more episodes of The Boy General, a popular and nationalistically-tinged children’s cartoon set during the Goguryeo period. This parallels how, when Kim Jong-il rose to power in the early 90s, he also ordered SEK to produce more episodes of the series. According to reports by foreign reporters, NGO representatives, and even defectors, North Koreans of all generations like watching The Boy General in their free time. There’s even a mobile phone game based on the series. Other SEK-made classics continue to entertain North Korean children and adults alike. 1987’s Clever Raccoon Dog is one staple, and the show I observed while flying on Air Koryo back in 2014. Through its anthropomorphic characters, the series imparts lessons on hard work and self-reliance, consistent with Juche ideology. Another renowned anthropomorphic SEK production is Squirrel and Hedgehog, which garnered buzz in Western media for its graphic violence and allegory about North Korea’s international relations. The show takes place in a fictional land called “Flower Hill”, populated by squirrels, hedgehogs, and ducks. However, weasels and wolves invade, threatening Flower Hill’s idyllic existence and forcing its residents to take up arms. Western critics have interpreted the weasels and wolves as stand-ins for Japan and America, respectively. There’s even a friendly but drunk bear that stumbles in, perhaps symbolizing the Soviet Union. Through a Chongryon-affiliated publication, North Korean officials have pushed back on this interpretation, insisting there are no national affiliations to the series’ animals. Regardless, animation continues to serve a vital role in shaping the worldview of North Korea’s youth and adults. SEK-made shows enjoy genuine popularity among North Korea’s population, and help craft a common North Korean identity — much like how Saturday-morning cartoons defined a quintessentially “American” childhood. What does the future hold for North Korea’s animation industry, given liberals are back in power in South Korea and further reconciliation seems possible? Much still needs to change before we might see renewed dealings between SEK and South Korean or European production companies. Numerous international sanctions still hold force, and need to be relaxed before such co-productions become viable again. Similarly, though relations are at a relative high point, South Korea has yet to restart other commercial collaborations, most notably the Kaesong Industrial Complex. Granted, Kim Jong-un seems interested in obtaining sanctions relief and stimulating North Korea’s economic development. As such, only further negotiations will tell if SEK can restart foreign collaborations without meeting significant political roadblocks. Politics aside, SEK may find itself facing vastly different market dynamics from a decade ago. While many 2D TV series remain, 2D feature films are on a steep decline, outpaced by tech-heavy 3D features from studios like Pixar. North Korean wages might still be lower than other locations, but gaps in expertise and a lack of effective collaboration mechanisms (ex. internet access, now more important than in 2007) might dilute SEK’s cost advantage. SEK might also experience different domestic pressures. Since 2007, North Korea has developed a budding IT outsourcing industry in areas beyond animation, for example Enterprise Resource Planning (ERP) systems and game development. Fields like enterprise software development often produce higher margins and allow more discretion, meaning that animation subcontracting may feel comparatively less attractive if North Korea wanted to purely optimize for profits. However, should the political and commercial stars align in this current trend towards rapprochement, a new work of North Korean animation might hit your preferred theater or streaming site before you even realize it—no plane ticket to Pyongyang required.